Sometimes it can be very frustrating that a problem is actually fairly straightforward to fix, but the process is time consuming. 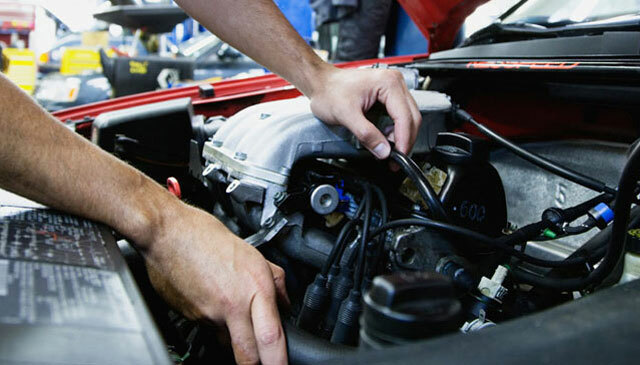 Being able to fix your own car then, is an extremely useful and valuable skill to have, whether you’re a real petrol head who’s into modifying engines, or just someone who’d like to keep the cost of motoring to a minimum. There are plenty of guides and forums available for you to get all the info you need, but in this post, we’re going to think about the tools that you’ll need to get in if you’re going to be able to take on these jobs. You never know what little tool you might need, and having a general set will come in handier than you might think. Half the time you won’t even use the tools for their intended purpose, whether it’s using a flat-head screwdriver to prize off a retaining clip, or a hammer to smack the rust off a brake caliper. This is probably the number one tool you’ll need. With a good socket set you’ll actually be able to disassemble almost all of your car, which is going to be vital when making repairs and having a look in the engine bay. Make sure you’ve got a variety of different heads too – some cars make more use of things like Torx heads than others. Sometimes you will need to get under the vehicle to be able to find out what the issue is, or to do the work. This can be dangerous, so you must make sure that you’ve got a good quality jack and accompanying stands. You can find good quality ones at SGS Engineering. All modern cars (ranging up to about 15-20 years old) now come with ports that allow a reader to be plugged in that allows the user to read fault codes and see other data about the vehicle. This is an invaluable tool these days, and you won’t regret purchasing one that works with your vehicle. Every time a light comes on the dash, a code is stored, and while it might not tell you the exact problem, it can cut hours off your diagnosis.